Your hardwood floor boards can be reused as a coffee table or cocktail table. Style your lawn with inexpensive yet sophisticated coffee table. To ensure longevity of its color and gloss apply and finish it with timber varnish. One such example can be found here. Create a console table from hardwood floor boards with a timber varnish finish for a modern and simple feel. Designed with beauty and functionality, this is will be perfect for your patio, entry way and living room. More information here. Floor boards can be recycled as a sleek and strong storage such as cupboards, bookshelves, wardrobes and can be finished with a touch of timber varnish. 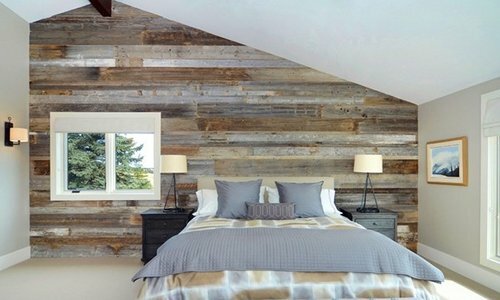 It’s not surprising that we find ways to reuse our old wooden flooring, with its inherent lived-in feel and lasting timber varnish look, this can be a perfect thing to use with the added advantage of being totally unique such as making it as an accent wall in your bedroom or living room. Perhaps one of the most effective ways to recycle wood flooring is by using it to reface your kitchen or bathroom cabinets, if you want to have it flawless finish apply timber varnish to ensure it will look anew. Another useful way to recover old hardwood floor boards is to transform them as decorative items. You can customize the styles and designs and add a touch of timber varnish to finish them beautifully. This is perfect in your private space. While hardwood floorboards are perfect for flooring, they are also perfect for our furniture making too! This can be a great dining table. Make it stand out by reapplying timber varnish for a flawless finish.